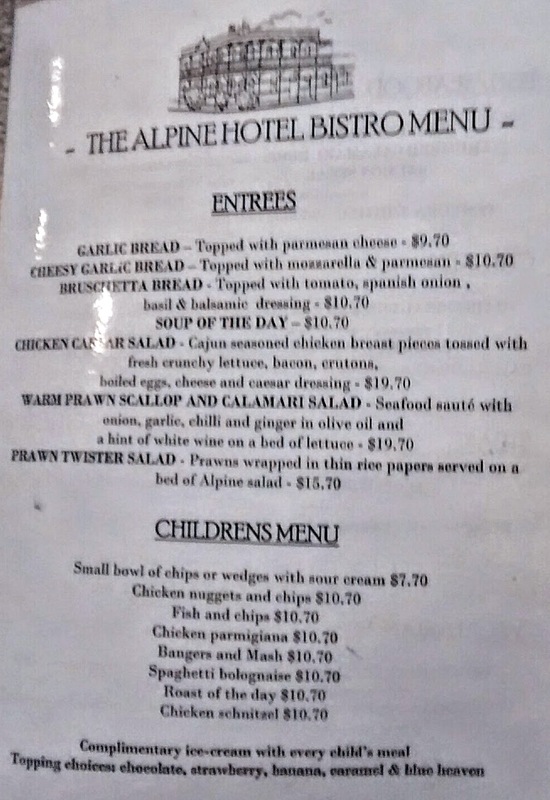 We visited the Alpine Hotel in Bright with friends, the building is large with several sections and that's just downstairs, there are also more tables outside. It was very busy on the Easter Saturday we were in town, but we eventually got ourselves a table in the Bistro. The décor inside is classic country pub style, with a few nods here and there to the surrounding mountains. 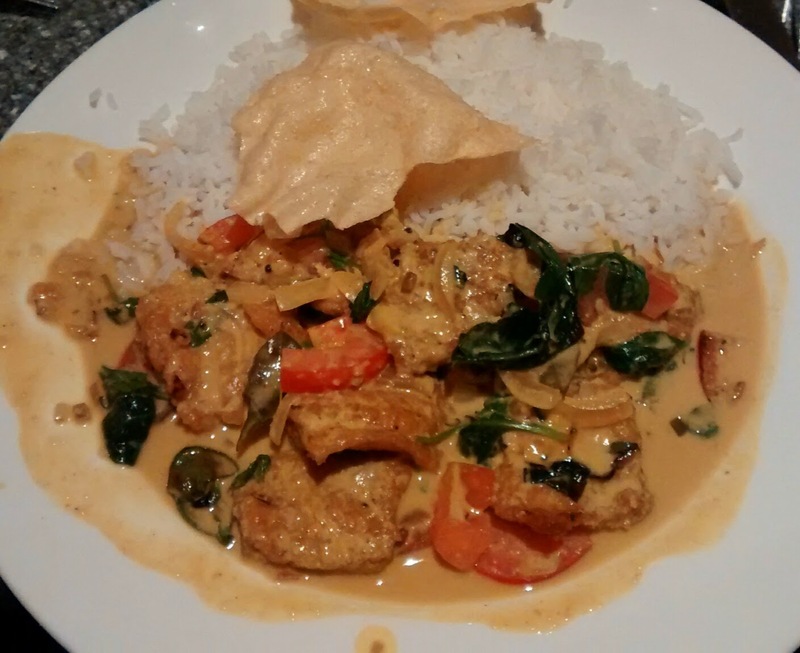 ...we'd been advised to try the Sri Lankan curry's. I went for the fish with mustard and turmeric in coconut which was subtly brilliant. 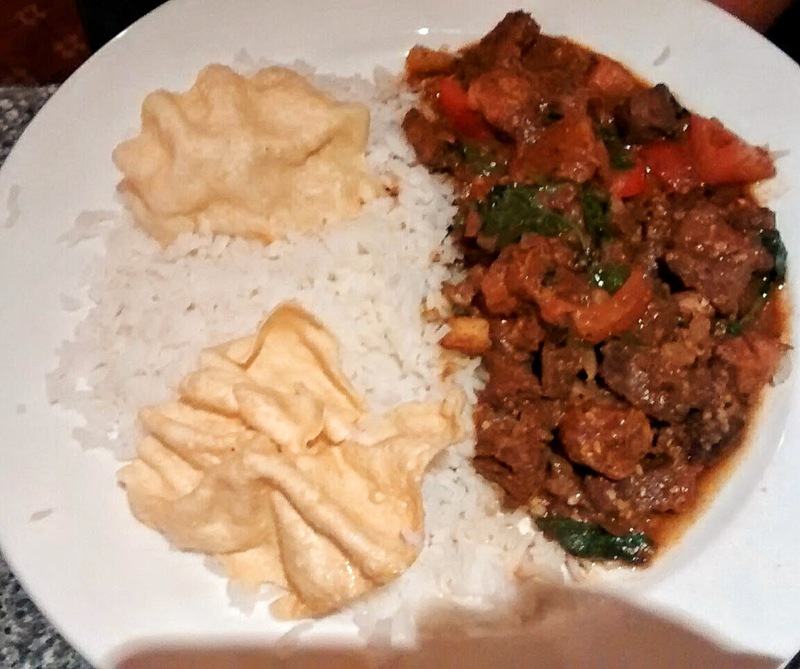 The better half went for the goat curry, with the rich meatiness well complimented by the spices. 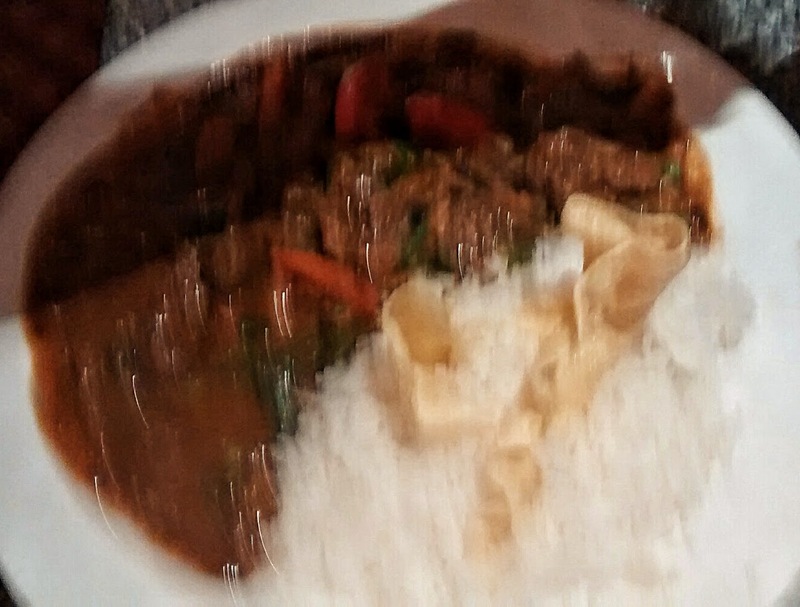 Our mates swapped plates halfway through their meal, they both liked the beef with it's chilli base, spices and pandanus leaves. 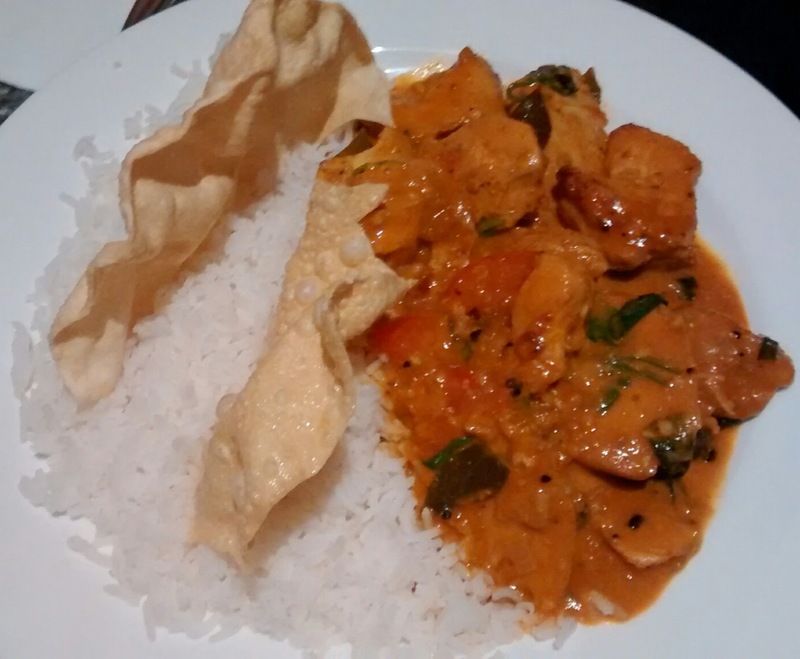 But their unanimous winner was the tamarind and coconut flavoured chicken. 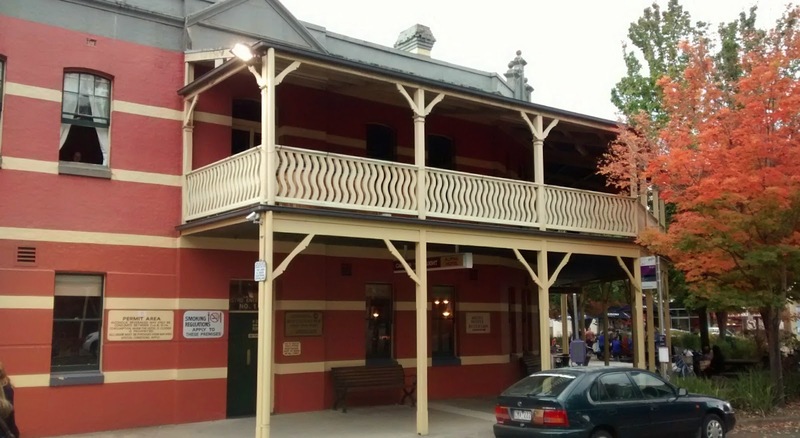 The service was good given how busy the pub was and featured typical country town friendliness. 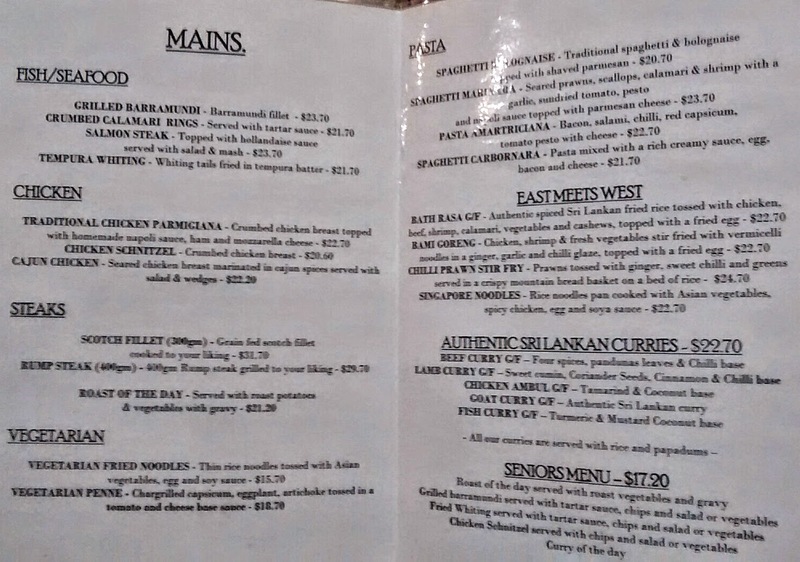 We were all pleasantly surprised by the quality of the curries, I would normal eschew the option in a pub in town never mind out amongst the hills, but they are well worth a try in Bright and at $22.70 good value too.